The Lord has blessed my husband and me with eight children. and we quickly found out that there are many myths about large families! The truth is that I’ve run out of patience with those types of comments. The world looks at people with large families and says, “You’re crazy!” But God says children are a heritage and reward. 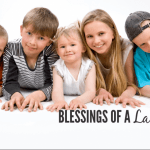 According to the Bible, children are a blessing or gift from the Lord. 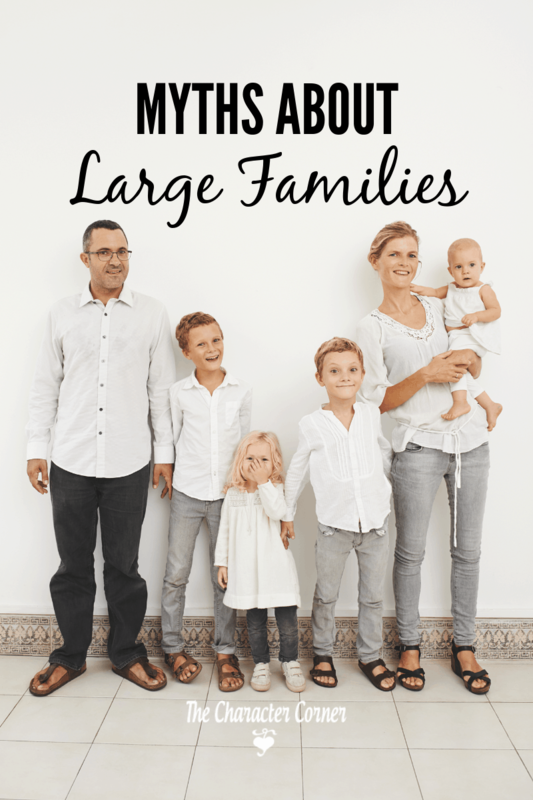 The world is telling us many things that just aren’t true about large families. 1. 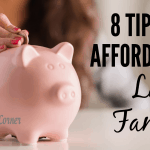 You can’t afford to have a large family today. The Bible tells us that God will supply all our needs. We found it was a huge blessing to see God supply our needs, and also to have to trust Him for those needs. Our kids have seen God supply, and have learned to trust Him as a result. Maybe we couldn’t afford the best of everything, but we felt blessed to have eight gifts from the Lord. 2. My kids drive me crazy! I can’t get everything done! Often the folks saying this are giving away the fact that they aren’t disciplining their children, and they are too busy with themselves! 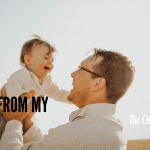 Yes, my kids drive me crazy sometimes too, but I’ve found over the years that has usually been the case when I’m too busy doing what I want to get done, and I resent being bothered. Other times it’s because I’ve slacked off on discipline, and am not requiring instant obedience. People aren’t used to seeing kids that mind are pleasant to be around. Therefore, they believe several kids would drive you crazy! As for, “How do you get everything done?“, the world looks at children and sees WORK. Yes, much work is involved. But, I see them as helpers! If you train your kids to help, you are able to manage things easier, and they learn character. You’re also training them to work for the Lord! 3. I get so bored, and feel unfulfilled just being a mother. Well, that’s true IF you feel that raising kids isn’t serving God, and isn’t of eternal value. And yes, you may feel ‘unfulfilled” IF you expect to accomplish all your goals. Here’s God’s answer. Get excited about molding and training Godly children! What an opportunity and what a challenge! Do all you can to learn how to train your kids in God’s way. Rather than being ‘bored”, you’ll find that you are growing as you look to God for help and wisdom, and as you die to self to meet the needs of those children. 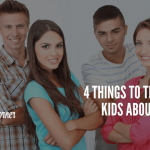 All of these myths stem from the idea that children are a bother, not a blessing. As Christian parents may we replace that worldly attitude with the idea that what we’re doing is a Godly investment. The Bible says we will reap what we sow. We are sowing to reap men and women who will be spiritual warriors and give their lives to serve God. What a blessed privilege! Thank you for sharing this! We have 4 children and I’m surprised at the comments we get sometimes. I am expecting child #5 this summer and dreading how many more comments we are going to get when we go out as a family. I love this ❤️. I have three kids now and am planning for #4. You can imagine all the comments I get when I even mention the fourth. God bless ALL OF YOU who are taking the time to raise your children Gods way, to love this world and each other! We have 10 kids. I tend not to get the large family comments any more now that we’ve started adopting. People have finally figured out that it’s not that we’re not smart enough to master birth control; we’re actually doing this on purpose! Sad that many people can’t understand why you would WANT to have more, on purpose! But as Christians, we know that children are a blessing. I loved this post! Thank you!! I love the quote on your shirt! Great perspective. Thank you so much for writing this! It’s a blessing having my sensational six! Thank you so much for this lesson. I’m from a large family. My husband and I were not able to have our own biological children but God helped our dreams come true by allowing us to adopt seven foster children. I think however you come by them they are definitely a blessing as God says. And we got the same strange looks and comments as you all did. I would just smile graciously and say thank you for your concern. Amen to all the comments.